Design. Typography. Paper. Colour. Kerning. Ligatures. Photography. Illustration. Digital Print. Spot UV. Diecut. Burst Bind. Emboss . . . Do words like these get your creative tastebuds tingling? Here at Salt – it certainly does! As a graphic design studio based in Brisbane, Australia, we offer complete graphic design and visual communication solutions. 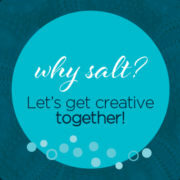 We’re so excited to say hello and introduce our new blog – SALT.Shaker. It’s going to be our place to express our creativity, share our ideas, swap tips, show-off projects, ‘sigh’ with inspiration – and have some fun along the way! Stay tuned to find out more about who we are, what we do – perhaps even who we do it for! Subscribe to our Blog and connect with us on Facebook and Pinterest. 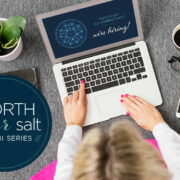 https://www.salt-design.com.au/wp-content/uploads/2017/02/Salt-website-header-logo-reverse-300x138.png 0 0 Editor https://www.salt-design.com.au/wp-content/uploads/2017/02/Salt-website-header-logo-reverse-300x138.png Editor2014-01-04 14:33:482018-12-12 10:58:22Hello!